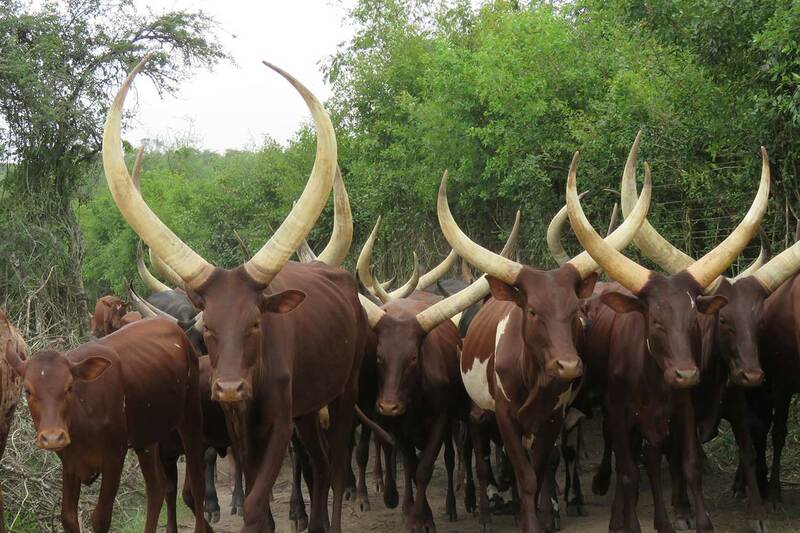 About 4 hour’s drive from Kampala, Lake Mburo National Park is home to the Ankole Cow Conservation Association and where you can experience the Enyemibwa culture first hand. Your Enyemibwa cultural experience starts the break of day. You’ll join the pastoralists milking their cows and learn how milk is treated. There will be an opportunity to meet the calves. A local guide will show you how cows are cared for. You can help watering them and repairing their mud water troughs as they graze. In the evening, help to bring the cows home for milking. You’ll listen to fascinating ancestral stories. You’ll find out why women are in charge of sharing the milk and how they name cows. Be inspired by the careful conservation of the wildlife who live alongside the cattle and discover how the pastoralists live harmoniously with and care for the natural beauty around them.